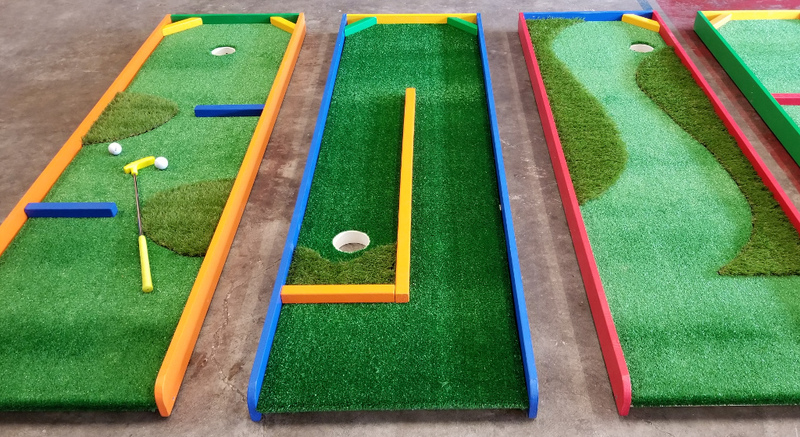 We bring the fun to you when we deliver an entire 9-Hole Mini Golf Course to your next party or event! This is perfect for school fun days, office parties, church functions, and even a birthday party! The rental includes 9 very unique and challenging golf holes. 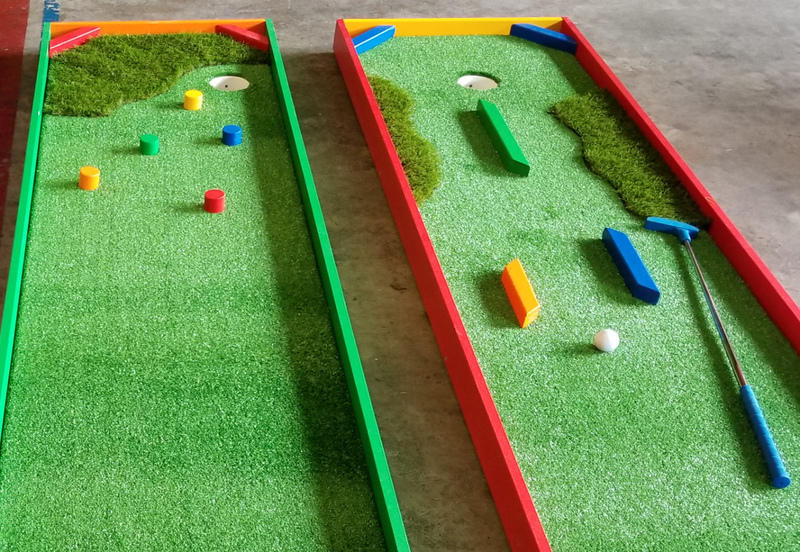 There's tons of obstacles such as a bridge, water hazard, sand trap, rough grass patches, hanging chains, tunnels, props, and many more. Every hole is different and fun. 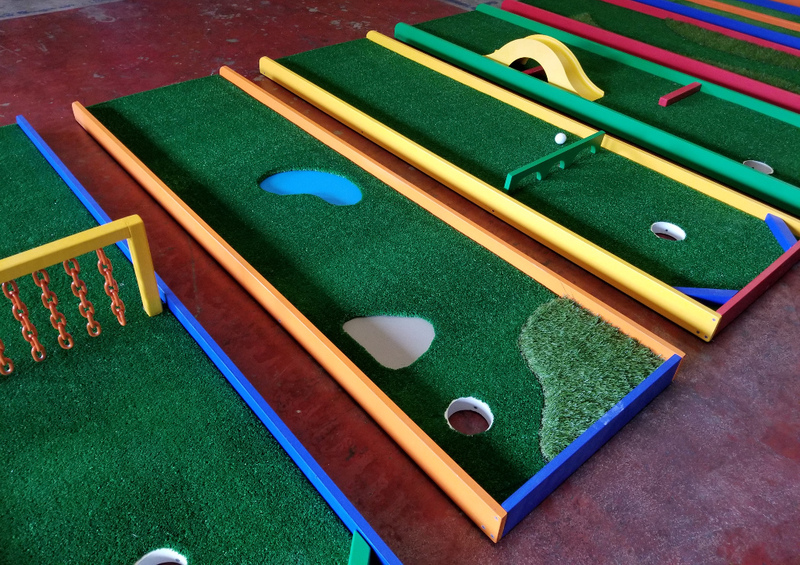 Of course we also bring putters of various sizes for kids and adults of all ages, plenty of golf balls, and scoring cards. 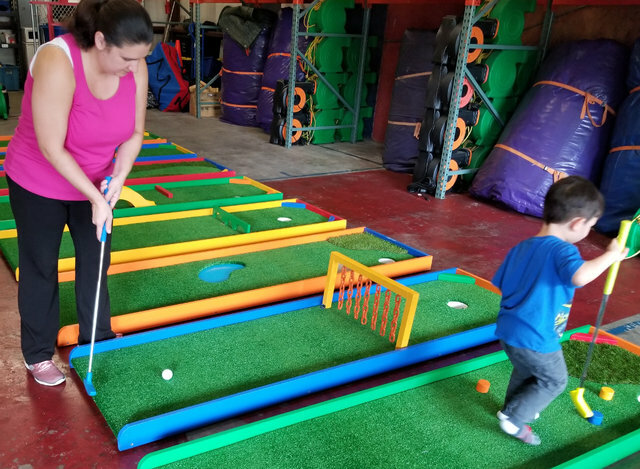 We deliver, set everything up, and make sure you have everything you need for a fun filled and memorable day of golfing!